When it was first launched, the Surface Pro 2 included an i5-4200U processor but according to new reports, Microsoft is bumping that up to the i5-4300U in at least some units. 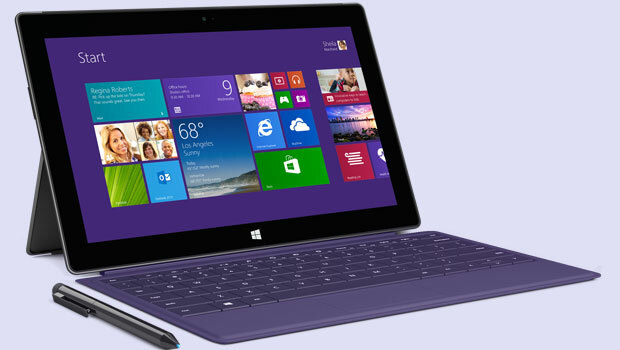 By changing the Surface Pro 2’s processor to the 4300U, the integrated GPU in the system is also improved with a faster clock speed of 1.1GHz compared to 1.0GHZ. In most cases, this change in processor should only affect a unit’s performance in synthetic benchmarks and even then, the difference will be very minimal. Not only is Microsoft shipping new units with the faster chip but some people have already reported that replacement units are being sent back to customers with the 4300U instead of the original processor found in the Surface Pro 2. Even though Microsoft is not saying much about the decision to change the Surface Pro 2’s processor, it is odd for any OEM to make a change like this. Although the CPU is not the only part of a computer that determines how well it will run, for pre-built machines, it is usually the core spec mentioned by companies. 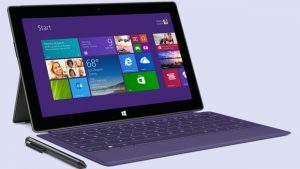 It is even possible that for business users who are trying to get a lot of work done, the processor boost may help their performance and make their system run smoother than someone else with an older Surface 2 Pro. Technically, the change is allowed and not misleading, as Microsoft’s spec page for the computer simply says Intel Core i5, allowing the units to ship with the 4200U or 4300U. Summary: Without making a public statement, Microsoft has changed the processor found inside of some Surface Pro 2 units. The change from the i5-4200U to the 4300U is minimal but may provide a slight performance boost under heavy work loads.